The continent of Akavir, also known as "Dragon Land", is a landmass east of Tamriel. The two continents have a history of animosity towards each other, with Akavir invading Tamriel several times in the past and Tamriel invading Akavir at least once. Much of what is known about it in Tamriel is acknowledged to be incomplete or inaccurate. His Inhabitants have drawn a map of the "Unknown" land for them called "Map of Tamriel". My name is Andrew, and I'm the editor in chief of The Tel Mora Independent Press, a web-based publication dedicated to sharing and exploring art and writing created by members of the Elder Scrolls community, and I was wondering if you might allow us to make use of this marvelous image? We would, of course, provide appropriate credit and a link back to your DeviantArt page (or another site, if you prefer). Can't help but notice you call it "Slyrim" instead of Skyrim and "Vvanderfell" rather than Vvandenfell. Did you lose track of what the different script letters were? I would love to use this gorgeous map in a new mod for Skyrim that I am working on, and just wanted to be sure that it is okay to use it? Thank you for the wonderful art. 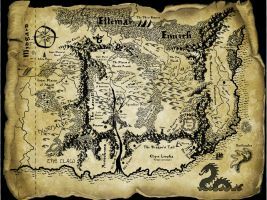 May I please use your map and these comments for an essay I am doing on video game narrative theory which focuses on The Elder Scroll series? Ohh! No I don't need your payment buddy you can use my map whatever you like But please after your work is done I demand to see a picture of it hehehe deal? Hello! This map you created is outstanding. I'm a modder for Skyrim, and I'd be very, very happy if you could let me use this in my upcoming mod. I'd post a link here to let you know how your work would be used. I'll be waiting for your reply! Thank you. Thank you so much! I'm here to let you know that I've posted my mod in which your great work is gratefully used. I can't express how thankful I am for your generosity. www.nexusmods.com/skyrim/mods/…? Again, thank you so much for lending me such a wonderful work of art. I think you did a really good job making the map, Can I have someone make a small poster out of the map? Before they make it they need permission to use it from the owner/copyright holder before they start. Of course! Only with the condition that you send me a picture of it after you print it deal? I think this map is fantastic May I use it in the intro to my Morrowind LP series please? Sorry for the delay, but I just got your credit onto the page for Deapri's ship. If you haven't seen it yet, it's located here. There are screenshots on the "Images" tab at the link I posted above, including one of your map on a desk. another modder named Deapri would love to use it. ^^ so it will be in 2 mods! please send me a PM if I can. ^^ thanks. Can I please use you map as a background for my tumblr RP blog? Yes of course can you send me the link to that tumblr? Actually I decided not to do it. My life is somewhat cluttered at the moment. But I did love the map!Do you have a tumblr? I do have a active tumblr at [link]. If those islands to the east are actually Yokuda like BCcreativity said then where is Akavir? 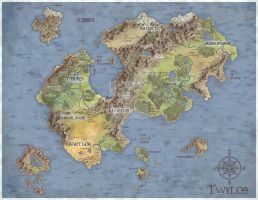 I'm currently doing a role-play (Or trying to start one) and I searched maps to get a travel time but I can't find one that has Akavir in regards to the rest of Tamriel...This is the best map I've seen so far of Tamriel, and I hope to see more from you. 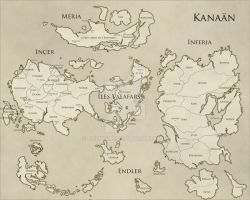 Do you possible have a map of Akavir or are you planning on working on one? Oh..well I'm a little disappointed but hopeful at the same time. I'm not sure how big of a reader you are but if you'd like to read about how we're improvising the lands, if it would help at all, then feel free to ask for a link. No Problem! I hope you enjoy reading it. I think Skyrim is my favourite province. Not just because it's a great game (even thought it IS), but because I've always had a liking for mountainous areas. Muchas gracias por hacer esta obra maestra, a más de uno nos hacia falta un mapa bien hecho de Tamriel, i ademas de aspecto antiguo, como tiene que ser. Best map of Tamriel out there. No joke. Tamriel looks like Eurasia, High Rock looks like Scandinavia, Hammerfell like Europe sans France and Spain, Cyrodiil like Turkey the Black Sea and the Red Sea all cobbled together, the north-western Islands look like the British Isles, Black March resembles China. is it just me or it looks like the eurasia?